Dr Austin Fisher is launching his latest publication Blood in the Streets: Histories of Violence in Italian Crime Cinema (Edinburgh University Press) at Bournemouth University on Wednesday April 3rd 2019. 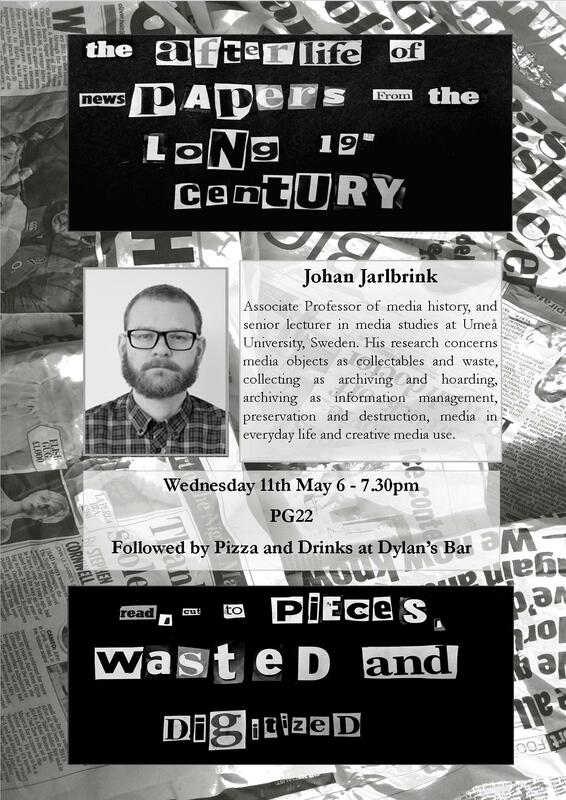 The event will be jointly sponsored by Edinburgh University Press and the Centre for Media History. Blood in the Streets investigates the various ways in which 1970s Italian crime films were embedded in their immediate cultural and political contexts. The book analyses the emergence, proliferation and distribution of a range of popular film cycles (or filoni) – from conspiracy thrillers and vigilante films, to mafia and serial killer narratives – and examines what these reveal about their time and place. 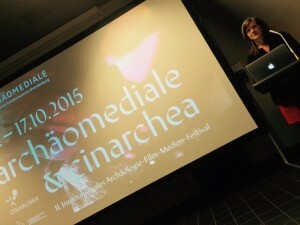 With industrial conditions geared around rapid production schedules and concentrated release patterns, the engagement in these films with both the contemporary political turmoil of 1970s Italy and the traumas of the nation’s recent past offers a range of fascinating insights into the wider anxieties of this decade concerning the Second World War and its ongoing political aftermath. Professor Gabriele Balbi of University of Lugano gave a lecture on Marconi in Poole, his time at the Haven Hotel and his contribution to broadcasting on Monday 25 February at the Haven Hotel. The event was sponsored by the Sandbanks Community Group and attended by the chancellor, Kate Adie. 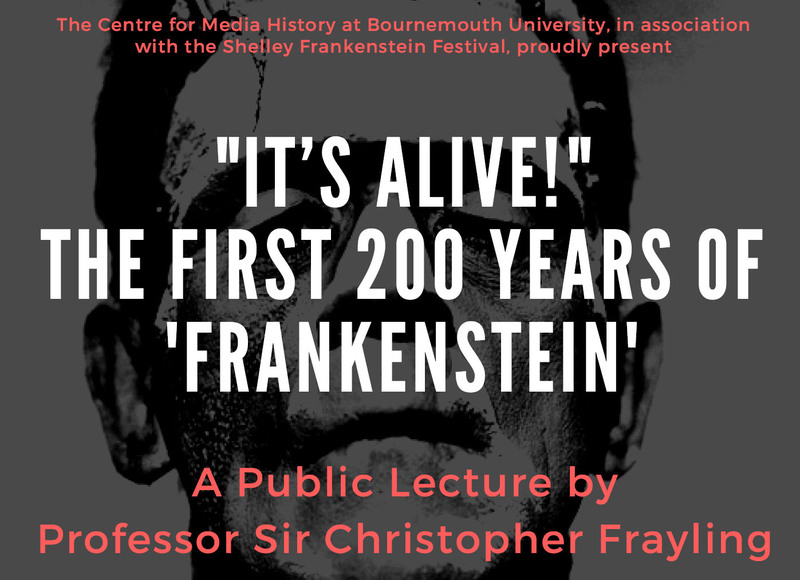 Come along to this illustrated lecture, in the place of Mary Shelley’s burial, where Professor Sir Christopher Frayling will explore the creation of Frankenstein, its adaptations, and its afterlife as myth. 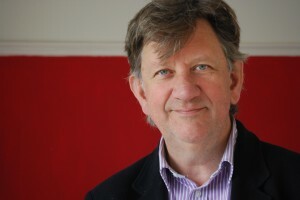 Professor Sir Christopher Frayling, a recognised authority on Gothic fiction and film and an award-winning broadcaster on radio and television, has written extensively on art, design and popular culture. His latest book is Frankenstein -the first two hundred years published by Reel Art Press. He will be signing copies after the lecture. CMH member Jo Tyler recently attended the 2017 Charles Parker Day, held this year on 7 April in Sheffield. She reported that BU MA Radio Production 2017 student Laura Irving won the Silver Award for her short radio feature ‘Quiet Revolution’. The prize was judged by an industry panel and with a prize that includes work experience at independent production company Whistledown. A programme about the winners, including Laura’s work will be broadcast on Radio 4 Extra on 10th June 2017. The Charles Parker Day and Prize was started by Emeritus Professor Sean Street and is soon to celebrate an anniversary in 2019. BIRSt.co.uk has been presenting some marvellous work this year, alongside the already existing archive of 17 years of student work at BU. CMH member Tony Stoller was recently interview by David Lloyd on the series Radio Moments. 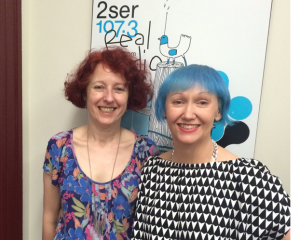 The interview was on how Independent Radio happened and was regulated. Please follow the link to listin to the interview. CMH member, Dr Ieuan Franklin was recently interviewed on forgotten radio features on the Thrid Programme. This interview will air on Sunday Feature: The Other Third on Sunday, 23 October 2016, at 6:45pm. Kate Murphy was invited by the Centre for Media History at Macquarie University to be a Visiting Scholar for two weeks, from Monday 15 February to Friday 26 February 2016. For Bournemouth CMH, it was an excellent opportunity to strengthen and develop academic relationships between the two institutions. Kate met with the CMH’s Directors, Professor Bridget Griffen-Foley and Emeritus Professor Murray Goot. Bridget Griffen-Foley, in particular, attended all the events and Kate formed a strong working friendship with her. The visit also provided excellent opportunities to network with other key members of Macquarie CMH including Virginia Marsden, Willa McDonald and Tanya Evans as well as Jane Connors (Head of Industry Policy and Strategy at ABC Radio) , who sits on the Advisory Board. Kate’s visit has prompted discussions on a number of possible collaborations including conference panels and special issues of journals. 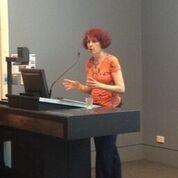 She was also found it inspiring to meet other individuals whose research is in a similar area to hers — early radio, women and radio — such as Kylie Andrews, whose PhD is on women at the ABC in the 1950s-1970s and Catherine Horne whose PhD embraces women’s radio voices in mid-twentieth century Australia. Kate is looking forward to extending the connections between Bournemouth and Macquarie. Read a recent blog post by CMH’s Dr Ieuan Franklin about the life of Denis Mitchell, entitled “Seen but Seldom Heard”. CMH’s Dr Kate Murphy has published a blog about women in the early BBC. 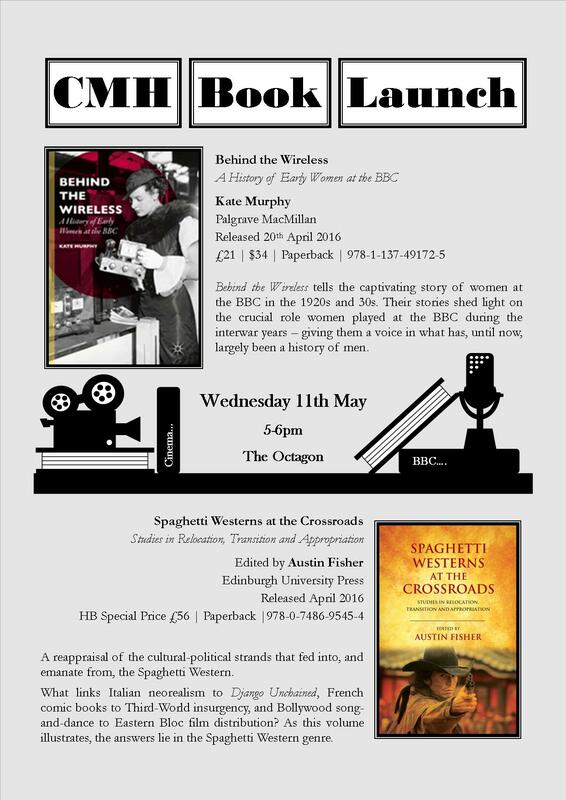 Kate is a former Radio 4 producer and author of forthcoming book ‘Behind the Wireless: An Early History of Women at the BBC‘. She also spoke at a special BBC ‘Women in Radio’ celebration event. 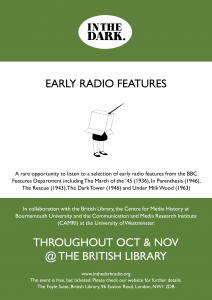 The British Library is hosting a short series of classic BBC radio drama listening events, in partnership with listening event specialists In the Dark Radio. Paul Wilson (Curator of Radio at British Library), Hugh Chignell (Professor of Media History at Bournemouth University) and Dr Amanda Wrigley (Research Fellow at University of Westminster) have delved into the archives of the BBC and the BL to curate this exciting season of programmes originally broadcast from 1956 – 2002. At these free events, held at the British Library’s Foyle Suite, listeners can enjoy some outstanding archival recordings in a group setting, including Dylan Thomas’s Under Milk Wood, Louis MacNiece’s The Dark Tower and David Jones’s In Parenthesis. Each event will be followed by discussions on their continuing relevance and significance for a contemporary audience. The Centre for Media History were delighted to welcome Dr Allan Jones to Bournemouth University on Wednesday 14th October. In many countries, early broadcasting was motivated by a ‘dream of mediated national community’ (to adapt historian Stephen Lovell’s phrase). How this dream was to be realised varied from country to country: in Britain a public service ethos was felt to be essential – as is well known. Less well known is the central role of adult education in the realisation of this ‘dream’. For approximately 10 years in the 1920s and 30s, adult education was at the heart of the BBC’s radio output. Thereafter follows a long decline, interrupted with occasional resurgences of interest. This talk is a work-in-progress account of this overlooked area of media history. 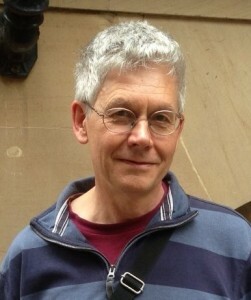 Allan Jones is a lecturer in communications technology in the Department of Computing and Communications at the Open University. He has published research papers on the history of the BBC’s broadcasting of science and technology, and recently appeared in the BBC Radio 4 series ‘Computing Britain’. The paper archive of the former regulators of commercial broadcasting from 1955 is held at Bournemouth University and is managed by staff at the Centre for Media History. The archive has become a major resource for broadcasting historians. Staff at the Centre for Media History have been involved in the digitisation of large collections of ‘independent local radio’ (or commercial radio) and have produced a resource which is now available online at the BUFVC website. The AHRC-funded Felicity Wells Memorial Collection of Independent Radio (1973-1990) brings together materials originally created as the Independent Local Radio (ILR) Sharing Scheme for which those working in features, drama, music and news departments of commercial radio could offer their work to be used throughout the UK. This JISC-funded resource brings together some 4,000 hours of content from the collections of the London Broadcasting Company/ Independent Radio News Archive, from its beginnings in 1973 up to 1995. A summary of the project can be found on the JISC website. 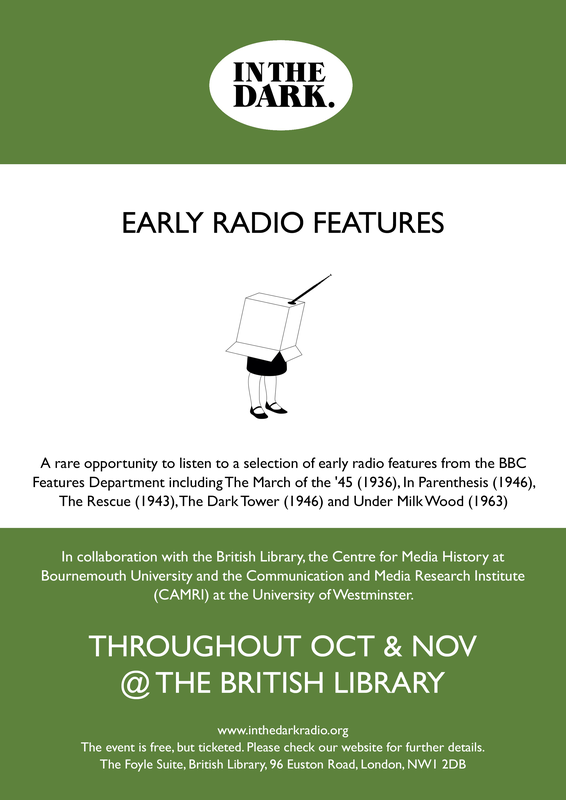 This AHRC-funded resource, approximately 1300 individual programmes, is a unique opportunity to listen again to programmes that were deposited with the Wessex Film and Sound Archive at the Hampshire Record Office by independent local radio stations (ILRs) in the Central Southern (Dorset, Hampshire and Berkshire) area. 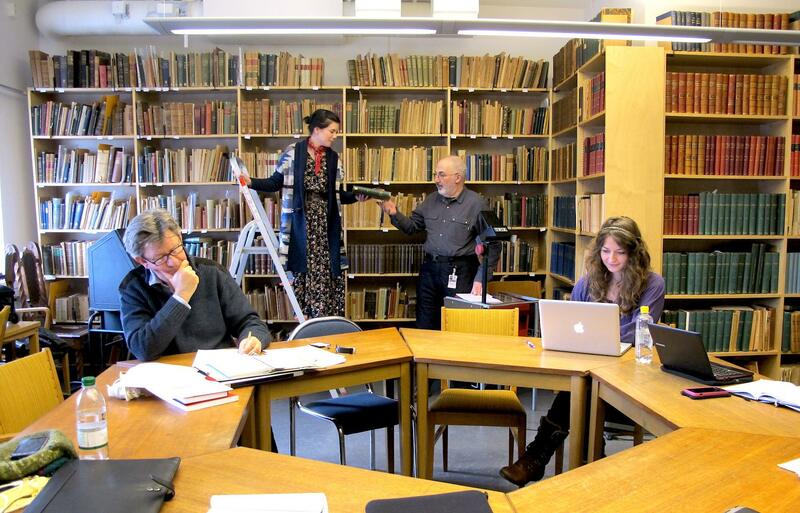 The Public Relations Research Group is linked with the Centre for Media History due to their strong interest in the history of public relations. Bournemouth University hosts the annual International History of Public Relations Conference, which started in 2010. It is the main international event for scholars in the field of PR history. In addition to its Proceedings, the IHPRC has spurred a flowering of scholarship and publication in book and article form. Each year, the conference attracts papers from up to 18 different countries and subsequently plays an important role in revising the history of public relations. Dr Tony Stoller, Visiting Professor at the Centre for Media History and member of the Entangled Media Histories Network gives an insight into his post-doc research idea about the impact of the fall of the Berlin Wall on classical music radio. Gloria Khamkar, PhD candidate at the Centre for Media History at Bournemouth University, a radio professional and member of the Entangled Media Histories Network describes her PhD research on the Evolution of Asian radio in England between 1960 and 2004. Professor Hugh Chignell talking about the importance and use of of radio archives.